With the end of the season bearing down on South St. Paul like a runaway truck, the Packers simply outraced it. Using terrific team speed, No. 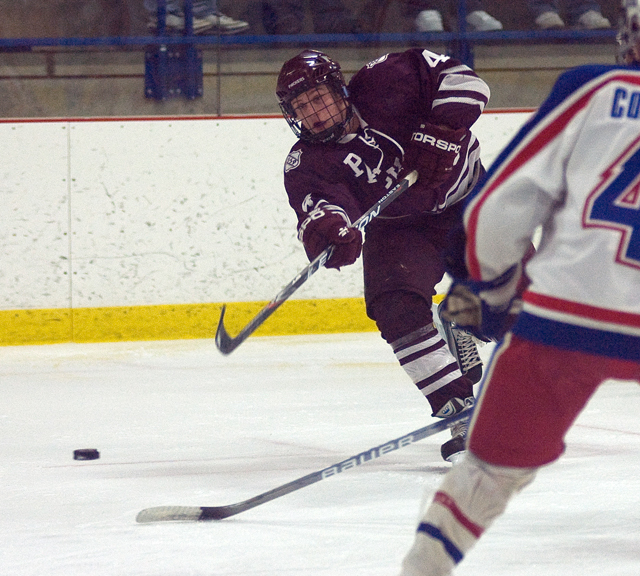 4 South St. Paul scored three goals in the final 2:52 of the Section 4A quarterfinals Thursday night, Feb. 25, to edge No. 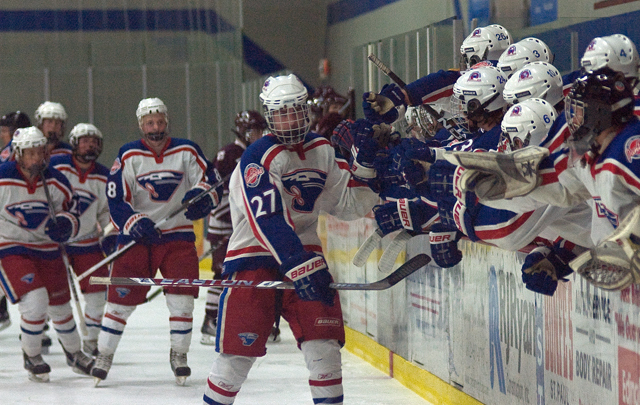 5 Spring Lake Park, 5-3. The late outburst erased a 3-2 Panthers’ lead that had lasted for more than a period – but not quite long enough. 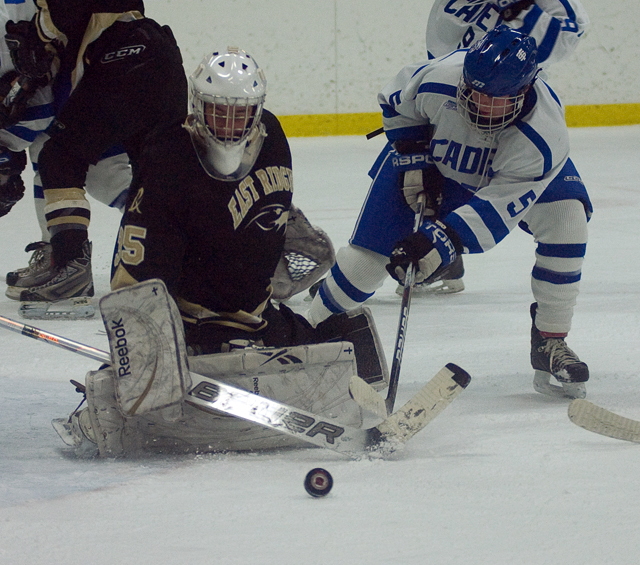 Senior Randy Todd responded first, beating the Panthers to a loose puck to the left of goaltender Mike Nelson. Todd fought off a check and chipped the puck past Nelson to tie the game with just 2:52 remaining. The goal seemed to energize the Packers, who had been pressing much of the third period. Nor was there any stopping Young. Just 28 seconds after Todd’s goal, the puck squirted out of the Packers’ defensive zone and towards center ice. Young turned on the jets and beat the Panthers’ defense to the puck, shifted it to his forehand and slid it under Nelson to send the South St. Paul bench – and student section – into a frenzy. “You always get nervous at that time, but you have to have confidence in your team and I did,” Packers’ star goaltender Adam Wilcox said. 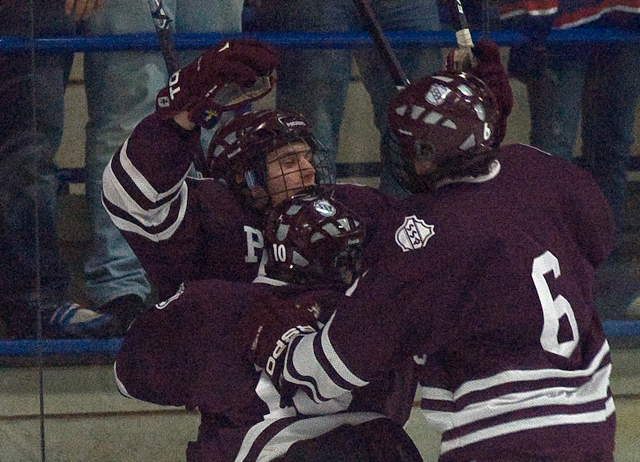 Tim Kohlmann capped the scoring with an empty-netter in the final minute. 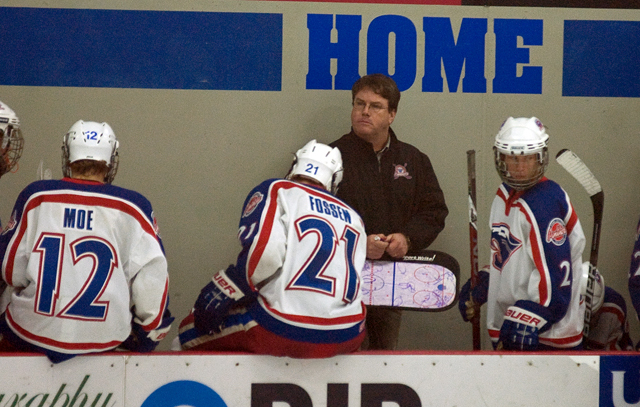 It was the first time all game that the lead was more than one goal for either team. 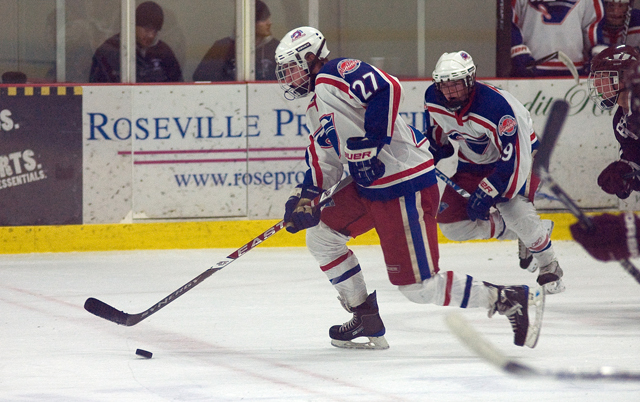 “That was one of the most evenly matched hockey games I’ve been around,” Spring Lake Park coach Tom Benson said. 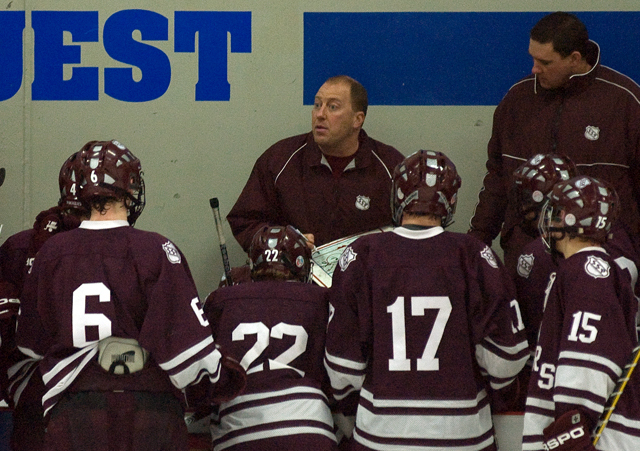 “We just ran out of gas and they were able to capitalize at the end. There was plenty of gas in the tank for much of the game. 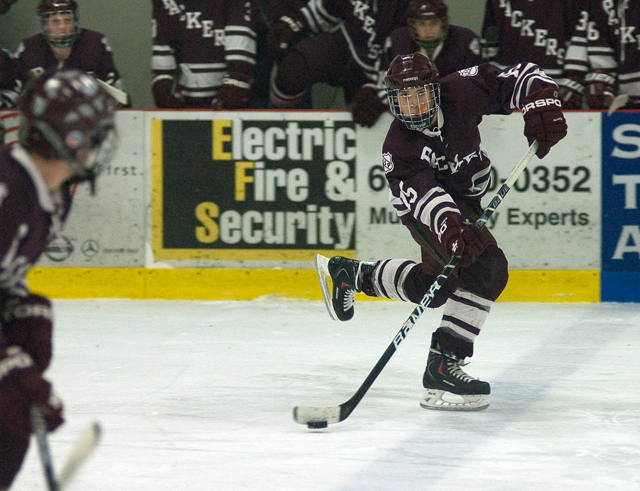 The rubber was flying all night long as both teams played some firewagon hockey. 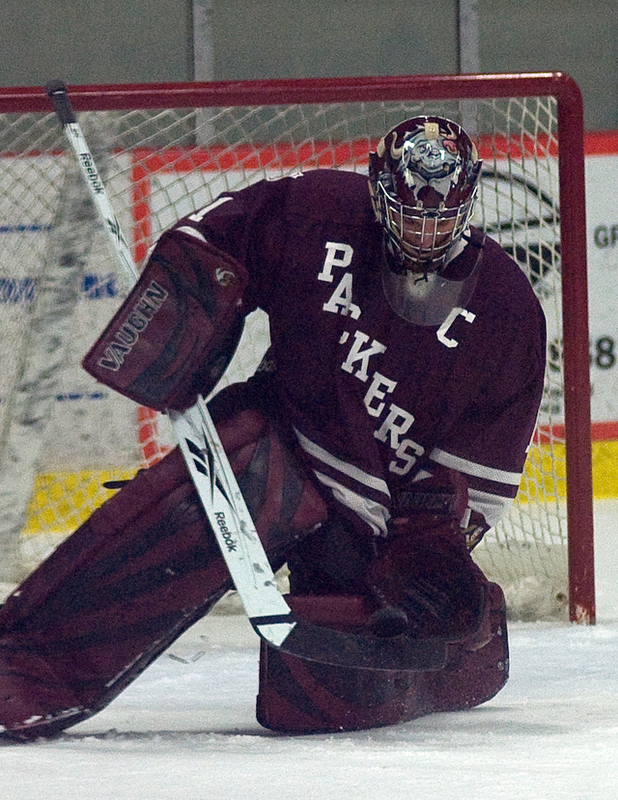 South St. Paul ripped 43 shots at Nelson, while the Panthers peppered Wilcox with 36 shots. 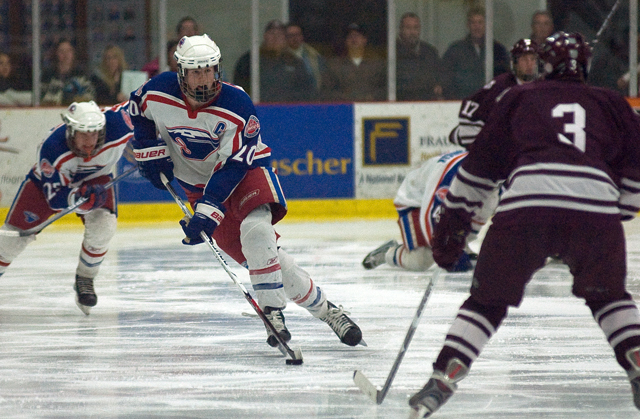 Nelson was especially key in the third period, as he held the Packers’ rally at bay until the final minutes. 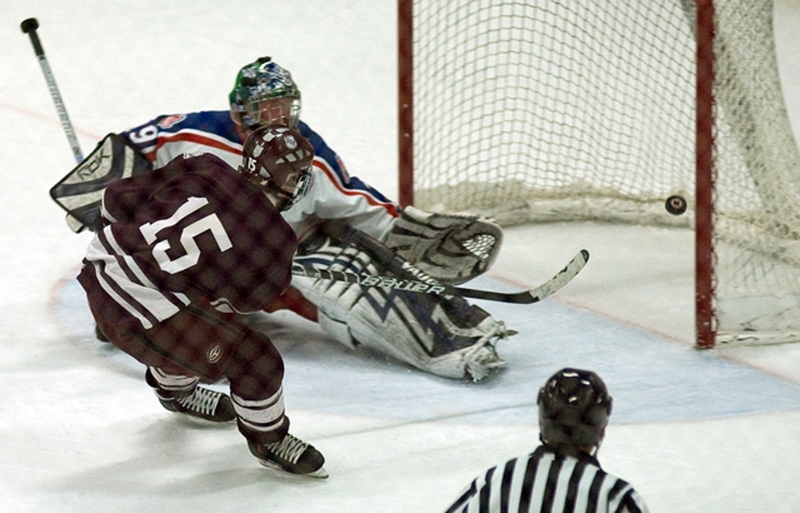 Twice he stopped Young on partial breakaways, but couldn’t keep the third out of the net. 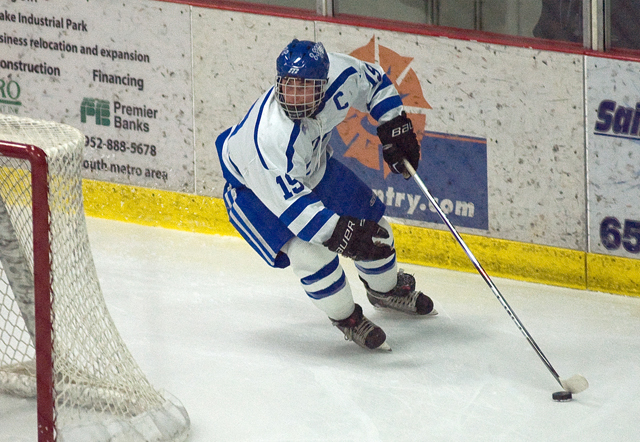 Nick Turbitt led Spring Lake Park with two goals and an assist. 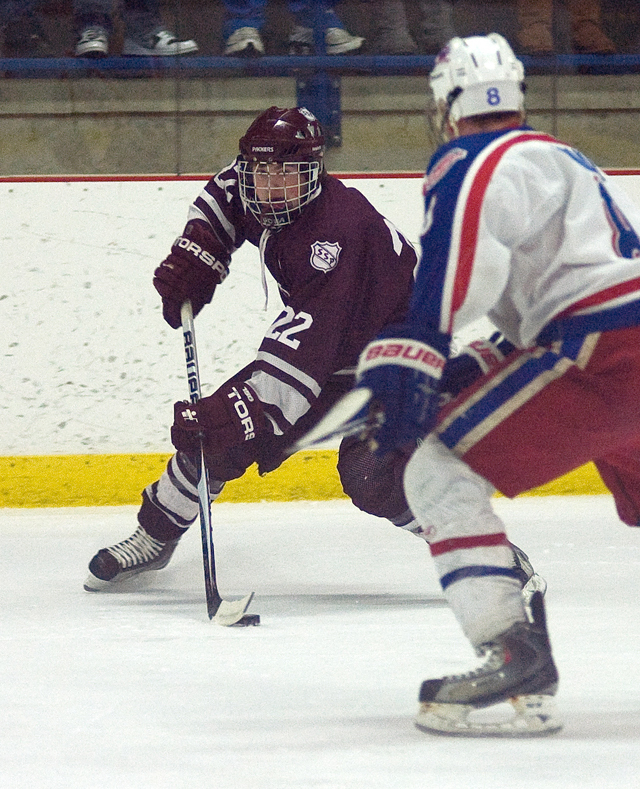 After South St. Paul took a one-goal lead twice over the first two periods, Turbitt brought the Panthers back into a tie. 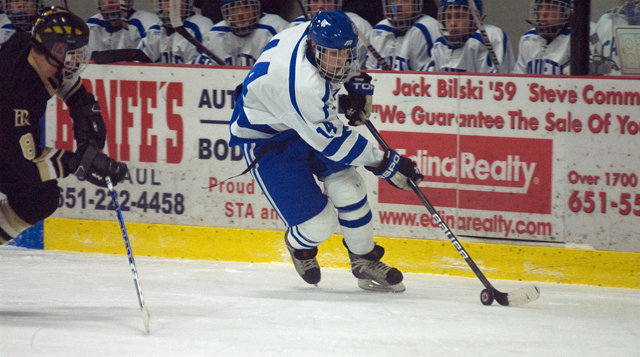 He also assisted on Luke Gerding’s goal that gave Spring Lake Park a 3-2 lead late in the second period. 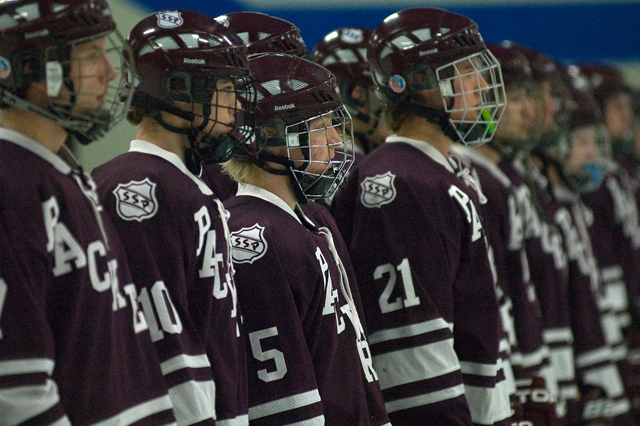 Young, Kohlmann, Todd and Adam Barlow all had a goal and an assist for South St. Paul. 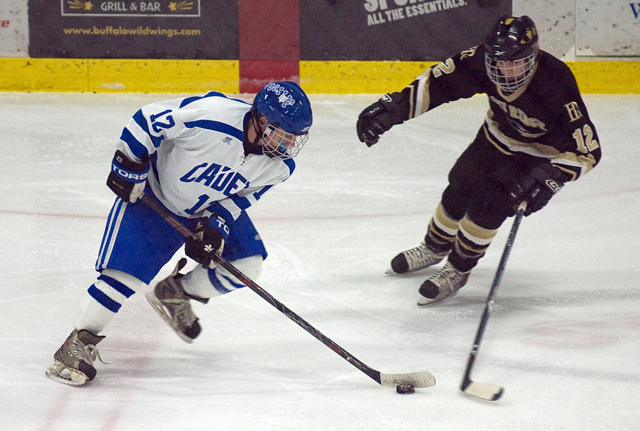 In surviving the quarterfinals, the Packers now must dodge an even bigger truck in Tuesday night’s Section 4A semifinals: top-seeded and formidable St. Thomas Academy. 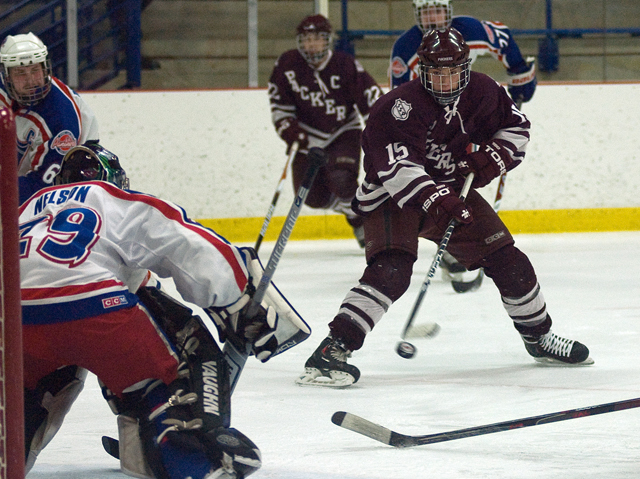 The two teams met twice in the Classic Suburban slate, with the Cadets winning both by a combined 15-5 margin. Despite the lopsided margins, Lagoo and company were excited about getting another shot at the Cadets. 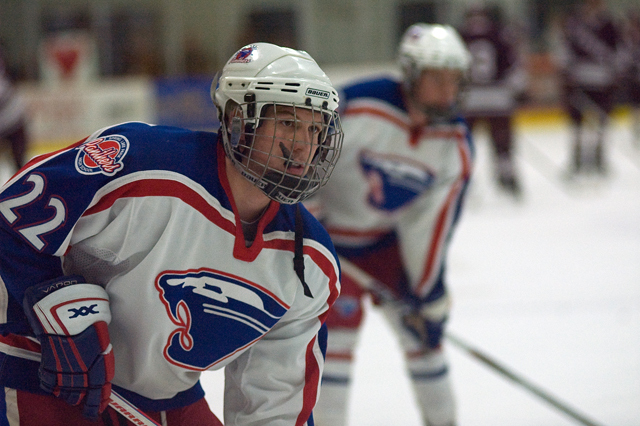 Frustrated by Spring Lake Park goaltender Mike Nelson much of the night, Young finally broke through at just the right moment. He streaked past the Panthers' defense on a contested breakaway with just 2:24 remaining in a tie game, deked to his forehand and buried the game-winner. 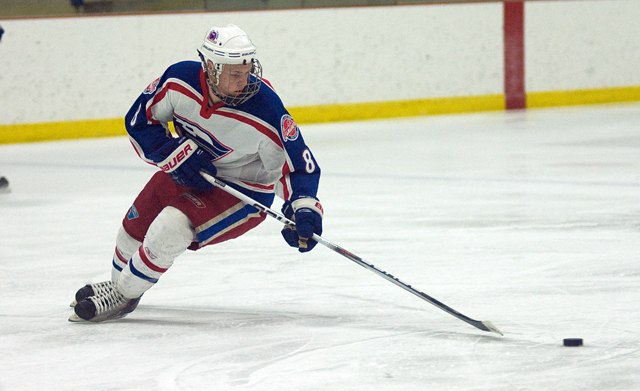 The diminutive Young has terrific hockey bloodlines, as he's the son of former Packer great and Michigan Tech star John Young. 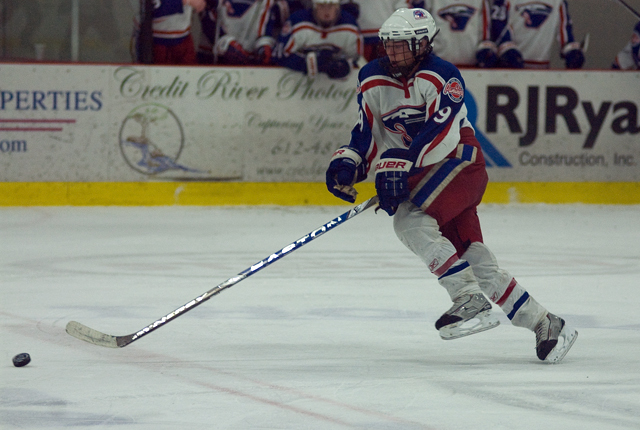 Turbitt kept Spring Lake Park right in the game, twice tying the score with a goal after South St. Paul had taken a one-goal lead. 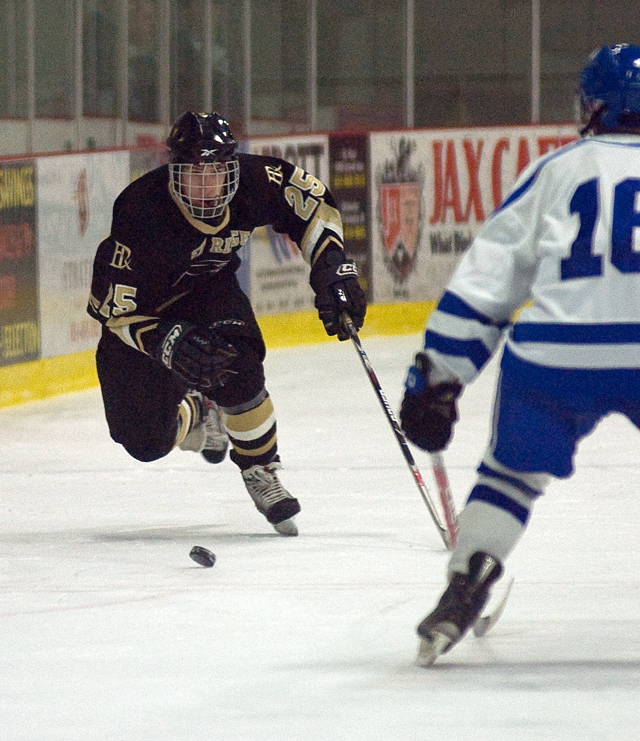 He also assisted on the third Panthers' goal that gave them their only lead of the game. 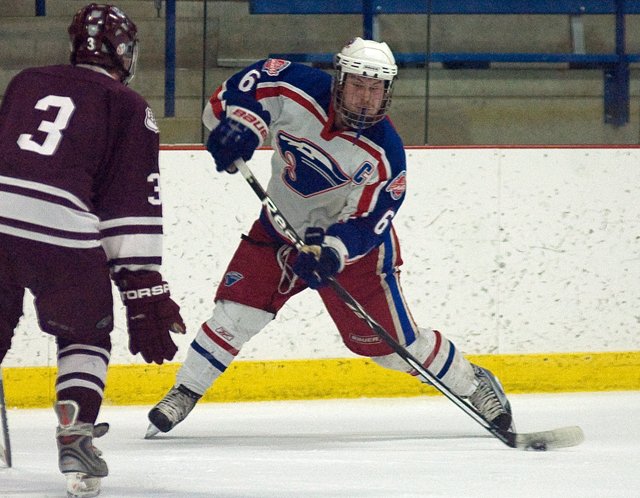 Turbitt led the high-powered Panthers in scoring this season with 22 goals and 37 assists for 59 points. 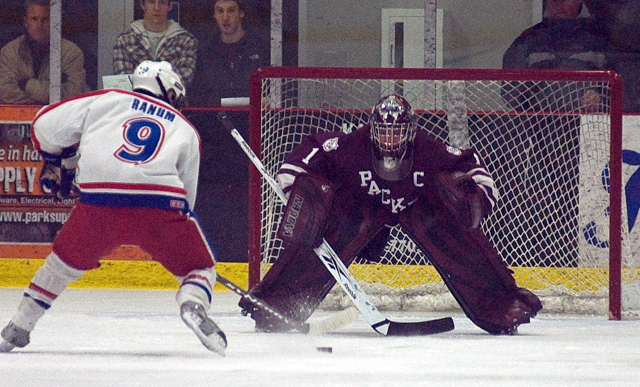 For a while, it looked like Spring Lake Park goaltender Mike Nelson might get a star -- and he certainly deserved one -- by holding the Packers at bay until the final three minutes. 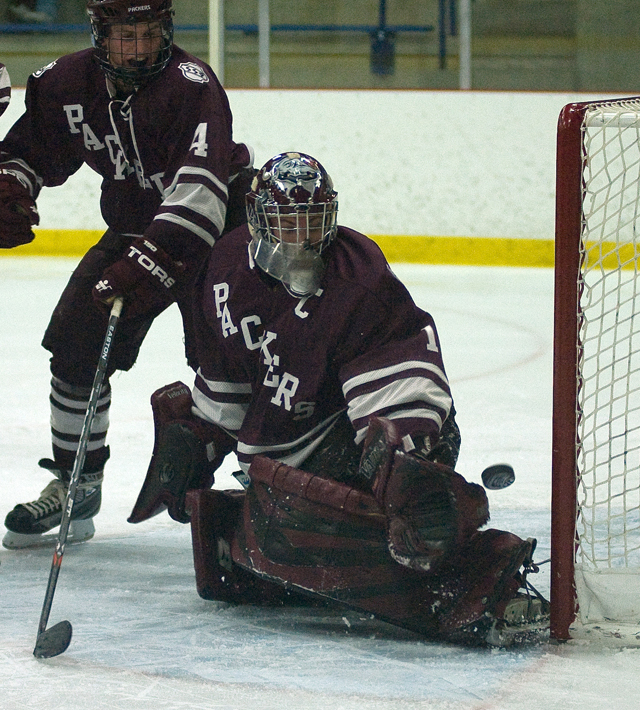 But with South St. Paul finally getting the victory, Wilcox gets the nod for his solid play in nets. 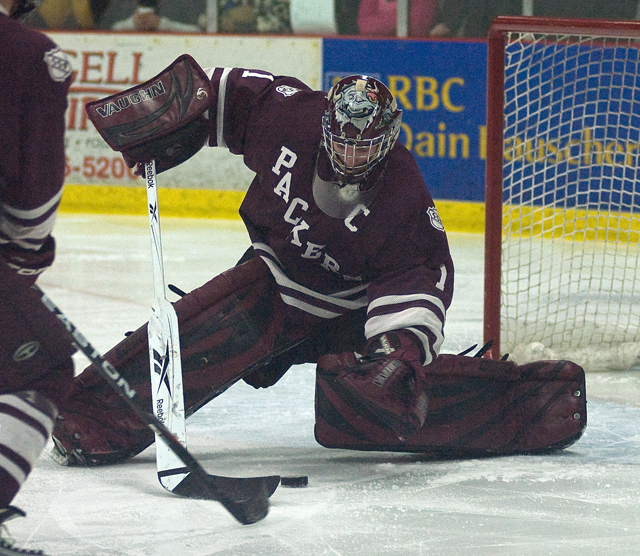 He made 33 saves on 36 shots (11 in each period) and held the fort while the Packers rallied. With the victory, fourth-seeded South St. Paul advances to play No. 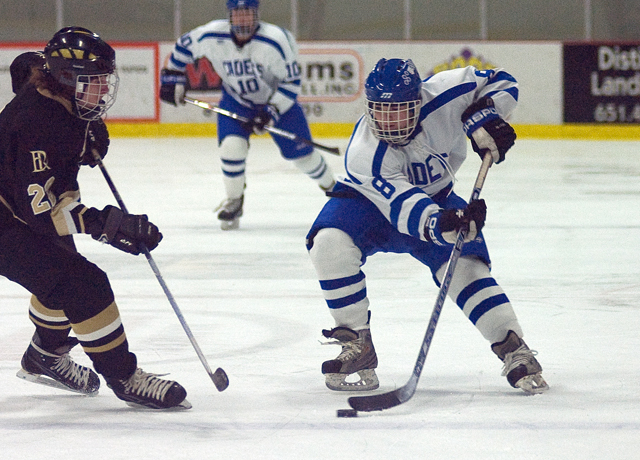 1 St. Thomas Academy in the Section 4A semifinals on Tuesday night. 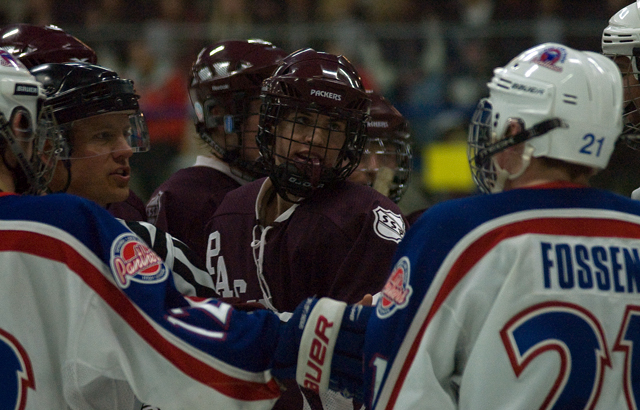 The two teams are plenty familiar with each other, as they play twice a year as Classic Suburban Conference rivals. 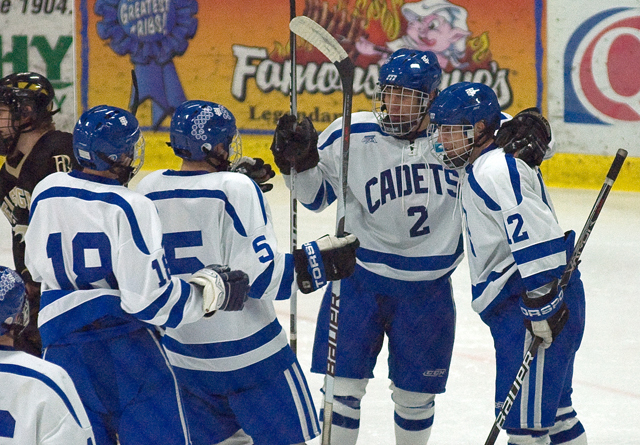 The Cadets took both games this season, winning 6-2 on Jan. 16 and 9-3 on Feb. 16. In only one other game this year did the Packers allow as many as six goals. 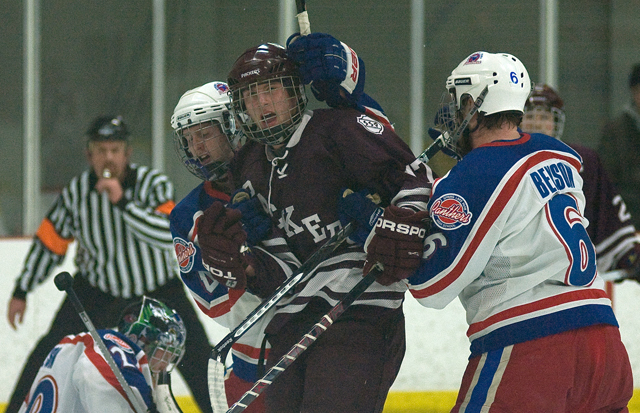 After a relatively tight first period in the first game of Thursday night's Section 4A doubleheader, No. 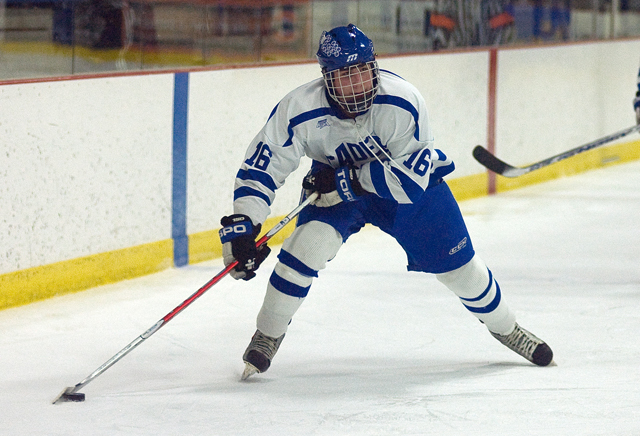 1 St. Thomas Academy opened up the offense on No. 9 East Ridge. 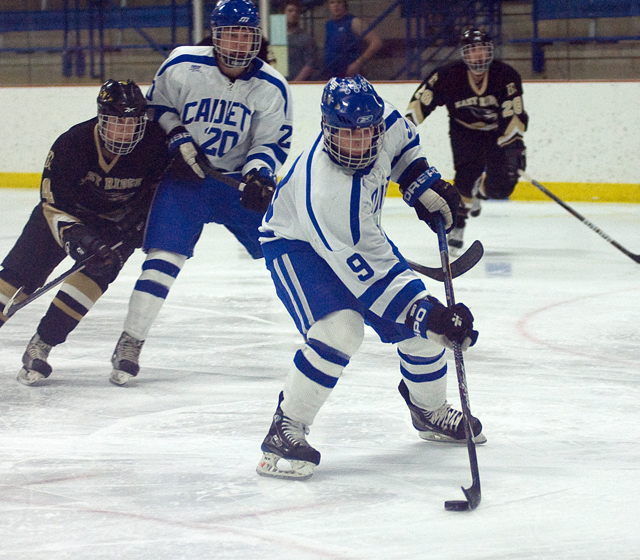 The Cadets fired in five second-period goals to turn a 2-0 lead into an easy 10-0 victory. 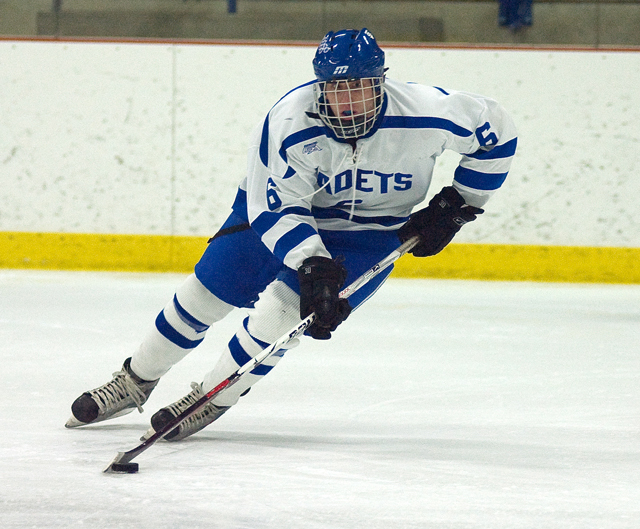 Zach Schroeder led the way with a hat trick, while Justin Crandall added two goals and an assist. 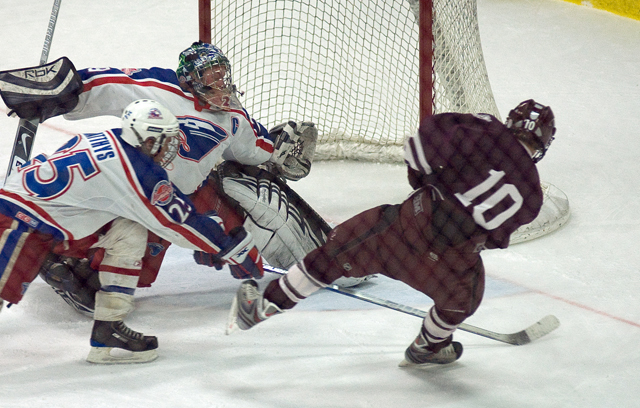 Kurt Altrichter stopped all 18 shots he faced for the shutout. 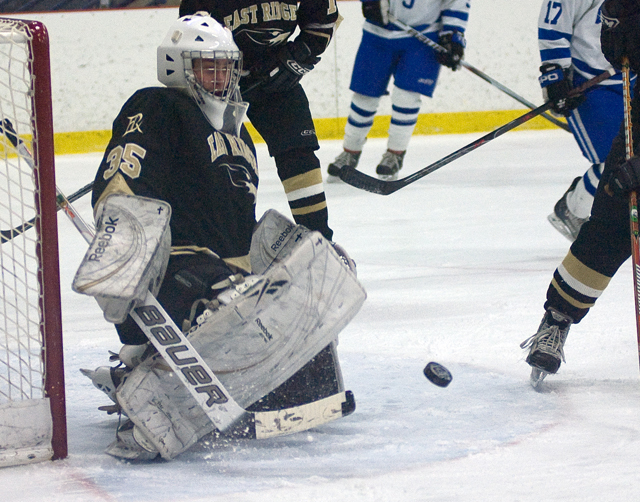 East Ridge goaltender Andrew McDonough made 32 saves. 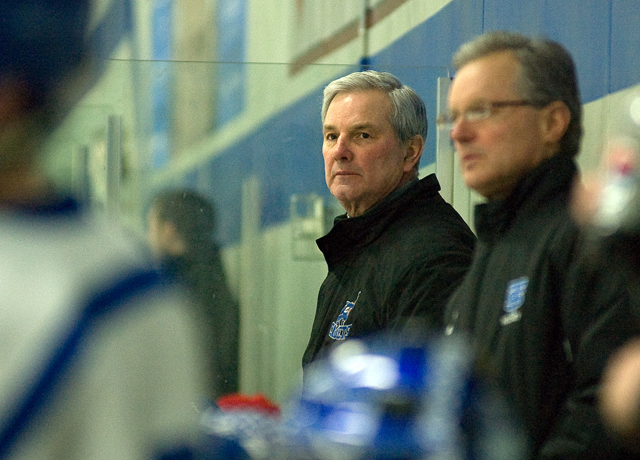 According to coach Greg Vanelli, St. Thomas Academy isn't looking ahead to a possible section final rematch with Mahtomedi, even if much of the rest of the state is doing just that. 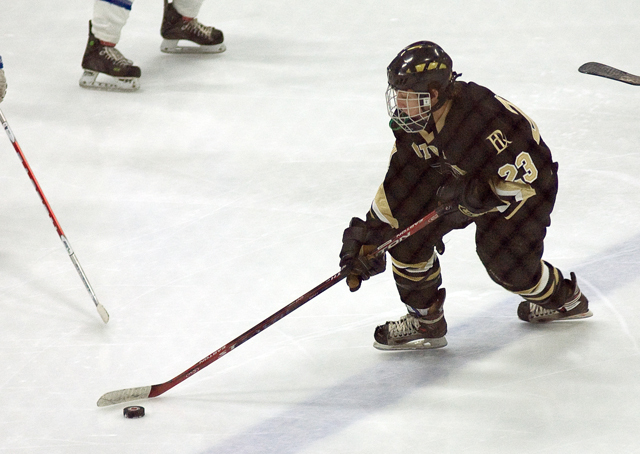 The Zephyrs knocked St. Thomas Academy out in last year's section final, then beat the Cadets 6-3 in the regular season finale last week to place some doubt in their minds. 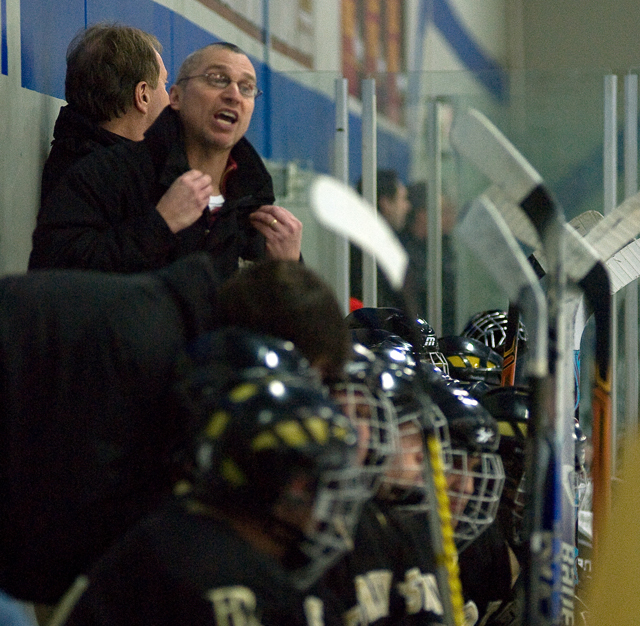 Vanelli prefers to think the loss refocused his team for the playoffs. If the 10-0 opener over East Ridge is any indication, he's correct.